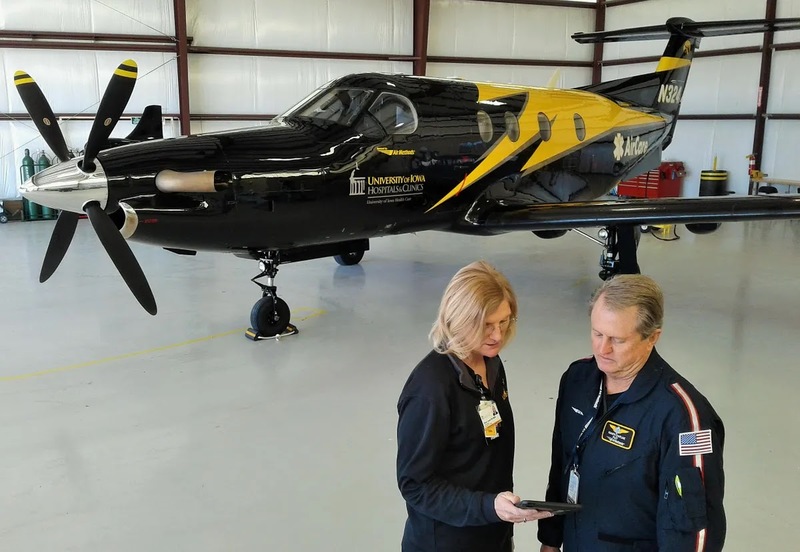 During an instructional flight, the two pilots—an airline transport pilot giving instruction and a commercial pilot receiving instruction—flew to two airports and made an instrument approach at each airport. Upon returning to the pilots' home airport and while on another instrument approach, the engine lost all power. The pilot giving instruction assumed control of the airplane and made a forced landing in a school baseball field. During the forced landing, the airplane struck trees and a fence, causing substantial damage to a wing spar. During a postaccident examination, a total of ½ gallon of fuel was drained from both tanks. The airplane's fuel capacity was 42 gallons, of which 40 gallons was usable. 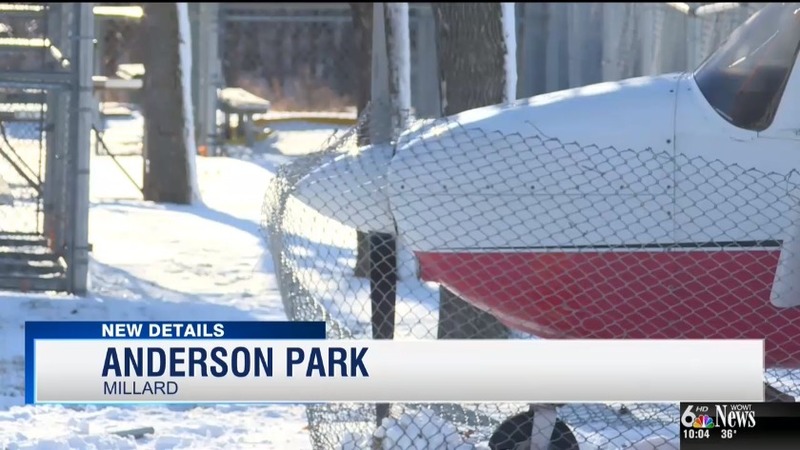 The airplane had been serviced with fuel several days before the accident, and the service technician estimated that 34 gallons of fuel was on board the airplane at the beginning of the accident flight. The pilot giving instruction reported that he had visually verified that the airplane was "full of fuel" before the flight, and he expected that there would be enough fuel for 4 hours of flight. The pilot giving instruction planned 3 hours of flight time, and the airplane's Hobbs meter indicated 3.1 hours of flight time. The instructor pilot's inadequate preflight fuel planning, which resulted in fuel exhaustion and a total loss of engine power. On January 24, 2018, at 1418 central standard time, a Quartz Mountain Aerospace (Luscombe) 11E, N515BW, struck trees and a fence during a forced landing following a total loss of engine power in Omaha, Nebraska. The certificated airline transport flight instructor and certificated commercial flight instructor receiving instruction were not injured. The airplane sustained substantial damage. The rental airplane was registered to and operated by Oracle Aviation, LLC, Omaha, Nebraska, and operated under the provisions of Title 14 Code of Federal Regulations Part 91 as an instructional flight. Day visual meteorological conditions prevailed, and an instrument flight rules (IFR) flight plan had been filed. The flight originated from Millard Airport (MLE), about 1100. According to the instructor's accident report, the airplane was full of fuel (verified visually), which should have provided about four hours of flight time. The planned flight time was 3 hours. They flew to Wayne Municipal Airport (LCG), Wayne, Nebraska, and Central Nebraska Regional Airport (GRI), Grand Island Nebraska, where they made an instrument approach at each airport before returning to MLE. The airplane was on the GPS (Global Positioning System runway) 12 instrument approach, about 5.3 miles from MLE, when the engine lost power. Following the emergency checklist, the engine regained power for about 10 seconds. The instructor assumed control and made a forced landing in a school baseball field near a road intersection. During the forced landing, the airplane struck trees and a fence, causing damage to a wing spar. 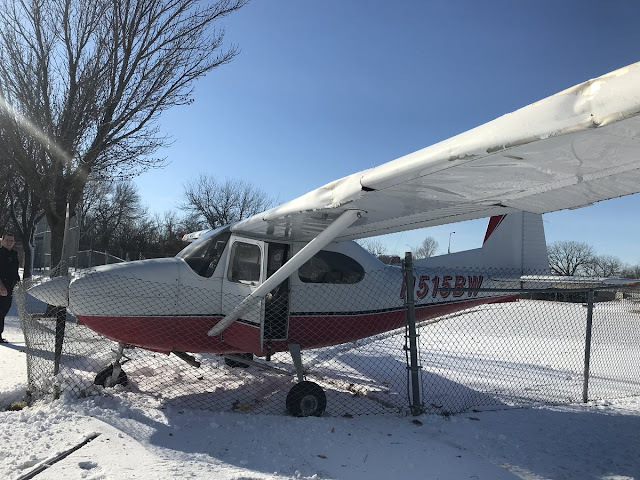 The airplane was towed back to MLE where Federal Aviation Administration (FAA) inspectors from the Lincoln, Nebraska, Flight Standards District Office (FSDO) examined the airplane. They drained a total of ½-gallon of fuel from both tanks. Both the tachometer and Hobbs meter indicated a flight duration of 3.1 hours. The instructor noted that a similar incident occurred about two weeks earlier. In that case, the pilots were able to land at the airport. No determination was made as to why the engine lost power, but the instructor surmised that either the tanks did not hold 42 gallons, or the engine was consuming a "significantly greater amount" of fuel. According to the service technician, when he serviced the airplane a few days before the accident, and it was not full of fuel. He added fuel to a level "just above the tab portion" of the fuel neck. Using another similar airplane, the technician demonstrated to FAA inspectors how he fueled the airplane to his customary level. He then added 6 additional gallons (3 gallons per tank) to reach the full level. It was estimated about 34 gallons of fuel was on board the airplane. Yet another flight running out of gas. Multi-thousand hour pilots... REALLY? This isn't like the mpg/miles left gauge on your car. Good grief. According to the reports filed, no admission of running the plane out of fuel. In fact, they both blamed it on the plane. It also could have been the fault of the ground crew, who was required to demonstrated how he filled up a similar plane. Pretty obvious what happened but more obvious that they learned nothing.